Exclusive: The Pentagon has retreated somewhat from its recent campaign to rewrite the Vietnam War history to push the discredited theory that the military strategy was sound, just undercut by disloyal war reporters and a misled public, a modest victory for truth, as war correspondent Don North describes. Wars are fought twice, once on the battlefield and later in the remembering. In that way, the Vietnam War though it ended on the battlefield four decades ago continues as a battle of memory, history and truth. And the stakes are still high. Honest narratives about important past events can shape our destinies, helping to determine whether there will be more wars or maybe peace. A few years ago, I was pleased to hear that the Pentagon would be funding a committee for the commemoration of the Vietnam War. I thought maybe, finally, we’ll get the record straight. But I didn’t have to read further than the keynote quote at the top of the new website to realize it was not to be. 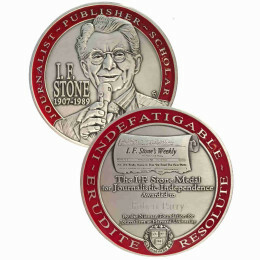 I belong to the dwindling ranks of journalists who covered the war. We call ourselves “the Vietnam old hacks” and we got pretty exercised about this quote since it perpetuates the myth that the war would have worked out just fine if not for the discouraging words of some reporters. I wrote a letter to the chief of the commemoration committee, retired Lieutenant General Claude Kicklighter, protesting this slur on the thousands of journalists who tried to honestly cover the war, a slur coming from a U.S. president who was one of the most responsible for misleading the public about the war. I badgered the committee for months but they were reluctant to take the quote down. I enlisted friends at the U.S. Army Center for History who strongly suggested to the committee that the quote was inappropriate. After six months through clenched teeth, they finally took it down. But many of the myths and falsehoods of the Vietnam War remain on the website. So what went wrong in Vietnam? 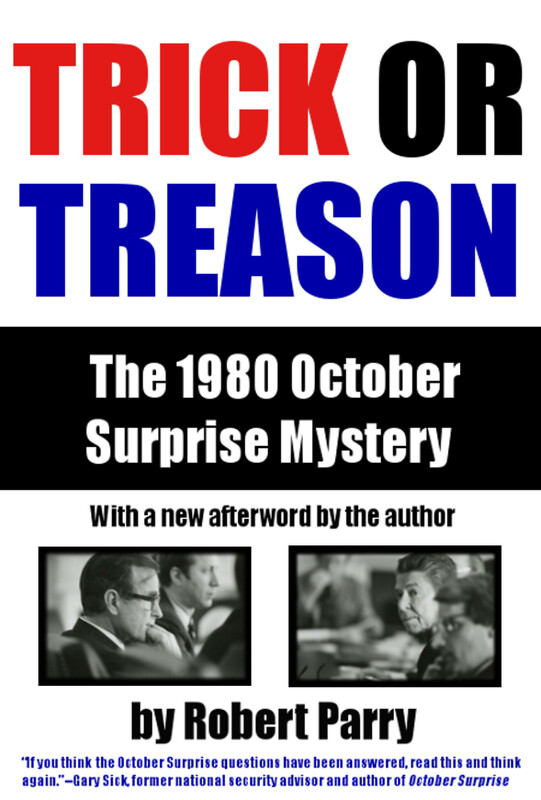 One of the prevailing and persistent myths is that the United States was betrayed by disloyal journalists. Even the U.S. Army commander in Vietnam, General William Westmoreland, subscribed to that old saw. It doesn’t seem to matter how many times historians even Army historians challenge this myth, noting that the U.S. press on balance did a pretty good job covering a complex and dangerous conflict. The myth of the disloyal journalists who supposedly sabotaged what would have otherwise been an American victory just keeps coming back. I landed in Vietnam in May of 1965, an eager and enterprising young reporter from Canada. I was like hundreds of other would-be-journalists going into the field to report the war as freelancers, arriving as this counter-insurgency conflict grew into a full-blown Asian war. And like so many of us I initially bought Washington’s rationale for the war to save this little democracy from a Communist takeover and the start of falling dominoes in Asia. The truth however didn’t take long to learn. At that time, the United States had the benefit of some brilliant journalists who took their craft seriously — and many were on the front lines of reporting about the gaps between the glowing PR and the grim reality. For example, my late friend David Halberstam of the New York Times told me about an historic battle down in the Mekong Delta in late 1962 when the reality of the conflict was becoming evident. Hundreds of American helicopters had arrived in Vietnam promising great new technological advantages to defeat the Viet Cong. 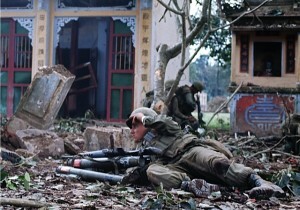 On the first day of the battle, a few Viet Cong were killed. On the second day, an enormous helicopter assault was launched but nothing happened. On the third day, the same thing happened, no enemy, no battle. 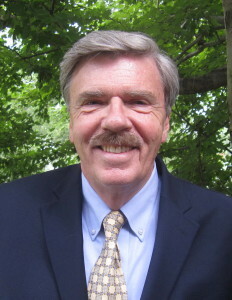 On the way back to Saigon, Neil Sheehan, then with UPI, muttered about the waste of his time. Homer Bigart, an experienced World War II reporter for the New York Times, said, “What’s the matter Mister Sheehan?” Sheehan grumbled about three days spent tramping the paddy fields and no story to write. Indeed, the U.S. strategy in Vietnam didn’t work. It never worked. Not then, not ever. But the price for the folly was staggeringly high. 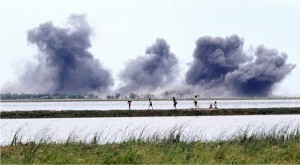 The Vietnamese suffered some two million civilian dead, many killed by the heaviest aerial bombing in history. In many ways, the young American soldiers, who were dropped into Vietnam, were victims, too, as they found themselves woefully ill-prepared for the rigors and cruelty of counter-insurgency warfare, often fought in villages packed with women and children. Some 58,000 U.S. soldiers died in the conflict and many more were scarred either physically or psychologically. I have just returned from a three-week tour of Vietnam and Cambodia and found that there are those in Vietnam as well as in America who are still unwilling to hear honest voices about the war. 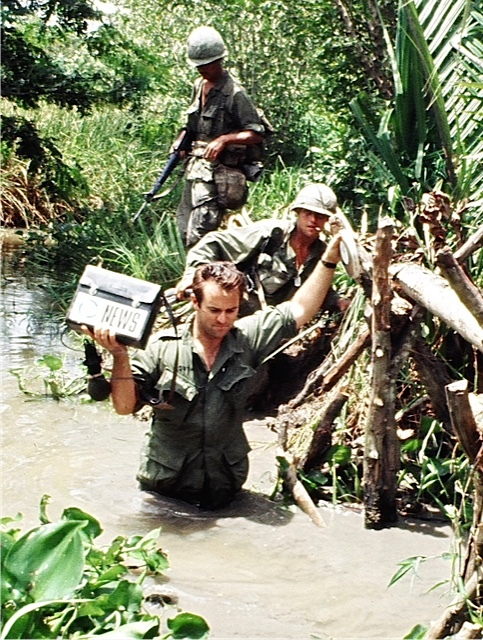 Yet, returning to Vietnam for the fortieth anniversary of the war’s end with the Vietnam old hacks we journalists who covered that lost war was a moving experience and brought back many memories of the war years. In a war full of surprises, there was no greater surprise for us than the Tet offensive attack on the U.S. Embassy on Jan. 31, 1968. Military analysts say one way to achieve decisive surprise in warfare is to do something truly stupid and the 15 Viet Cong sappers who carried out the daring embassy attack were poorly trained and unprepared, but its effects marked a turning point in the war and earned a curious entry in the annals of military history. Today the imposing U.S. Embassy that withstood the attack has been torn down and replaced by a modest U.S. Consulate. A small marker stone in a garden, closed to the public, records the names of the seven American Marines and Military Police who died there. Outside the Consulate gates on the sidewalk is a brick monument engraved with names of Viet Cong sappers and agents who also died. I couldn’t help imagining the scene if somehow U.S. Army PFC Bill Sebast and Viet Cong sapper Nguyen Van Sau, two soldiers who died on opposite sides of the Embassy wall, could return today to marvel at Saigon’s economic progress, with Vietnam and the U.S. having put aside old animosities to become valuable trading partners. For the first time, the Vietnam Foreign Ministry treated us old hacks like people worth knowing, interested in our knowledge about the bloody war that we once covered. The truth is Vietnam is more concerned these days about its giant neighbor to the north, China, and even looks to the United States as a possible counterweight to China’s tendency to throw its significant weight around. So what about the recent Pentagon suggestion that we journalists “misreported the war?” Am I satisfied with my own coverage of the Vietnam war? No, I’m not. I think ignorance of Vietnam history and culture at first and the limitations of TV news sometimes made the truth suffer. A minute and a half was about max for an evening news report. Not nearly enough time to describe the complex events of the Vietnam War. I also found my ABC News editors in New York reluctant to sound negative about the war. Critical stories got brutally edited or just mysteriously disappeared before air time. The only censorship that I experienced was from my own news company. At the U.S. Embassy when the last Vietcong sapper was killed or captured, I quickly filmed a “standupper.” To conclude my report, I said, “Since the Lunar New Year, the Viet Cong and North Vietnamese have proved they are capable of bold and impressive military moves that Americans never dreamed could be achieved. Whether they can sustain this onslaught for long remains to be seen. So it’s true that the truth about the Vietnam War often suffered, but not in the way Nixon’s quote suggested. Much of the U.S. media reporting put the war in too rosy not too harsh a light. More accurate journalism would have more consistently challenged what Neil Sheehan later called “A Bright Shining Lie,” the upbeat PR for a misguided war. And the lessons of Vietnam fruitlessly discussed over the past half century have taught Washington so little that today’s war hawks replicated many of the same Vietnam mistakes in Afghanistan and Iraq — the same hubris, the same over-reliance on technology and propaganda, the same ignorance of complicated foreign cultures. 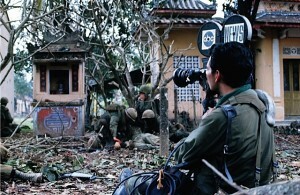 So what were the real lessons learned about journalism in the Vietnam War? 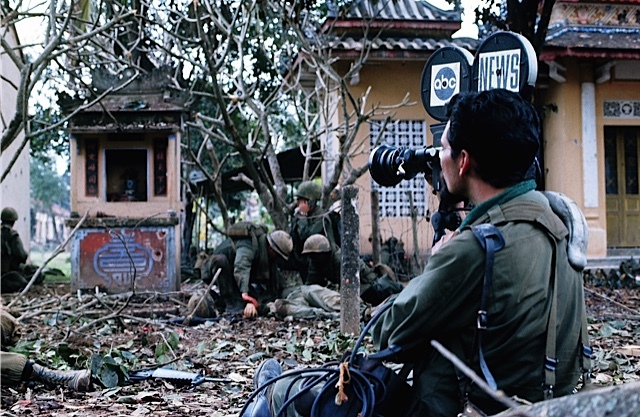 In spite of difficulties, censorship and the fog of war, I believe much of our Vietnam reporting was accurate and has withstood the scrutiny of time. However, has U.S. war reporting today improved any more than American foreign policies? And the same sort of “group think” and hostility to dissent that proved so disastrous in Vietnam a half century ago and Iraq a decade ago is ascendant again in Washington today. The New York Times and Washington Post land on my doorstep every day and I’m appalled to read how “neocon ideology” appears to have seized control of the editorial pages, a development that should concern every American. Inevitably military power is recommended as a first, not a last resort. Suggestions about seeing a conflict from the other side’s perspective is dismissed as soft-headed and un-American. Instead, it’s easier to talk tough and wave the flag, while squandering the nation’s tax dollars on military hardware and military adventures, even as millions of American families slip beneath the poverty line. I too, agree with Monty, as I was in Pleiku as a senior advisor. When the Fourth Division left Pleiku, every bridge was blown on highway 19. The Montagnards, and RF/PF soldiers we trained were trying to protect their villages. Our country left us out to dry, and we abandoned the hill tribes of the Central Highlands. While I agree with Obama’s quote regarding our being too eager to enter into war, we did not lose the war militarily. Most COMBAT veterans agree with this, particularly those who served later in the war. Our 5-man MAT Infantry advisory team lived and worked with the Montagnard and Vietnamese RF/PF soldiers in 1970-71, in Pleiku Province, which was the ‘least pacified province in the country’ at that time in the war. We found very few VC, the enemy was the NVA, and they were hurting badly. They were demoralized, scared, and disallusioned, and were being defeated by the groups we worked with. Even in Pleiku Probvince, most of the time you hardly knew a war was going on. Thanks to the Jane Fondas and Tom Haydens of the world, as well as the college journalist-majors, we stopped supplying our allies with weapons and equipment, and ashamedly hung them out to dry. At the very height of the war, there were as many as fourteen American servicemen in support to every one man in the field. When I was there, only 2% of the remaining 130,000 servicemen in Vietnam were in the field. That’s 2,600. Primarily ARVN and MAT advisors like myself. And you say WE lost the war? We left. The Vietnamese, literally fighting with no more ammunition or equipment, lost the war. During my tour, I only saw one reporter. She was a freelance reporter, who trekked out on her own into our Montagnard country. She wrote a factual, well-written article she sold to Newsweek, mostly regarding the Montagnards. In my experience, the stories I read about the war came from reports handed back and forth through Vietnamese and American channels until a reporter in Saigon wrote his version, mainly in a negative agenda, furthering his own preconceptions and adding a feather in his cap for his career, though he may never have left the safety of the city. While I realize there had to be many reporters who were exceptions to this, I never saw them. One prime example was when my father wrote me a very concerned letter about the story he read in the paper “Reds Overrun Pleiku Airbase”. Even the Stars and Stripes Newspaper ran an almost identical story. I still have it in my old scrapbook. The truth was, a few 122mm rockets landed in the airbase. That’s it. No human attack, nothing else. Yet we were led to believe it was a major TET offensive. At that time of the war, the RF/PF troops in nearly every village in the province was protecting their AO. If a major attack by the NVA really had occurred, they would have had to go through a lot of small resistance beforehand, exposing their positions. During my tour, I had two ex-NVA ‘Kit Carson Scouts’ working with my team. They had surrendered and chieu hoi’d to serve on our side. They were angry at their government for sending them down to ‘free the people’ when they were actually killing them. And thanks to the recent B-52 strikes ordered by Nixon, their NVA battalions were wiped out. I doubt that many GIs saw the war and its direction much more than the advisors at that time. In fact, during the entire war, I don’t think any time had so little written about it as the 1970-1972 era, until the U.S. had all but left, and the North attempted its first major invasion in 1972, which, by the way, failed. This is all not to say we were right or wrong for being there. It wasn’t clear cut, there were some good reasons, some bad ones. And not that the war was ever politically won. Until you go in and take the government out, it would never end. Your comments are understandable as we never wish to admit defeat. However, wars are not usually won or lost militarily. Look to our own Revolutionary War to see how it works. I was on active duty when Saigon fell. We all took pride in saying that we were responsible for losing the war.